The ladies here are really sweet. To see them each day is a treat. I’ve only been coming a short while and everyday they have a bright smile. I thank you ladies for your time, you share to make me feel special and show you care. I’m going to miss seeing you ladies each day, but in my heart and prayers you all will stay. Karen graduated from Eastern Michigan University with a Bachelor of Science in Occupational Therapy and a minor in Psychology. 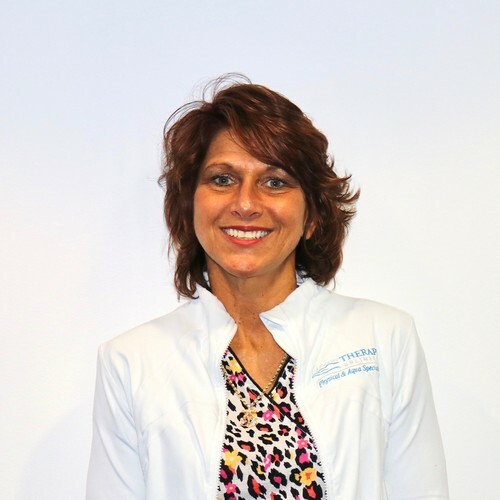 She has practiced as an Occupational Therapist for about 18 years, and joined our team at Therapy Unlimited in 2015. She has experience in treatment relative to neurological and physical deficits secondary to conditions including memory-impairment, cerebral vascular accidents (CVA), traumatic brain injuries (TBI), spinal cord injuries (SCI), and orthopedic injuries. She has worked in various settings including hospitals, rehabilitative settings, work-hardening programs, TBI-specific settings, and home-care. She has experience with all cases and populations related to personal injury and auto accidents. Shelby has a passion for promoting independence and has been involved in the field for over 7 years. She obtained a Bachelor of Science in Psychology from Wayne State University, and a Bachelor of Science in Occupational Therapy from Baker College. She is enrolled in a Master of Occupational Therapy program and currently runs our Public Relations department.